Spring is here and it brings some delightful art. This coming Saturday is the closing reception of Unfettered, an exhibition of work by members of the So. California Women’s Caucus for Art at Avenue 50 Studio in Highland Park. 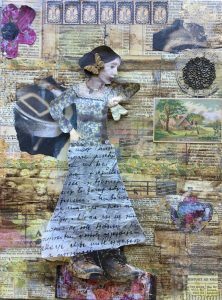 My work in honor of Women’s History Month, Honoring Virginia remains on view. See below. 4/06/19; 2-4 p.m.
Have you heard about the new exhibition at the Musée d’Orsay in Paris (one of my favorite museums)? The exhibit spotlights modern art’s uncelebrated black models and affords these previously anonymous sitters a semblance of agency by (temporarily) renaming classic paintings in honor of their newly identified subjects. Black Models: From Géricault to Matisse, the exhibition includes works such as Édouard Manet’s Laure, an avant-garde portrait of a prostitute formerly titled Olympia, and Marie-Guillemine Benoist’s Portrait of Madeleine, an allegorical painting previously known by the generic name Portrait of a Black Woman (or Negress). I visited a few beautifully painted women in the past week. My first stop was at the Norton Simon Museum to view the exquisite Titian’s Portrait of a Lady in White (c. 1561), on loan from the Gemäldegalerie Alte Meister in Dresden. Unfortunately it is no longer on view, but certainly worth mentioning. She is an intriguing young woman (her identity is still in question) wearing a white satin wedding gown, bejeweled with gold, precious stones and pearls. She looks sideways at the viewer and stops fanning herself for a moment to catch our gaze. Her garment must have dozens of shades of white, with subtle illumination on her face, hair and garment. The handling of paint and surface textures remind you that this is indeed a masterpiece. I also had the privilege of stopping by the current exhibit at the Getty Center, Pontormo: Miraculous Encounters (thru 4/28). The exhibit is highlighted with the recently conserved Florentine Renaissance panel painting, The Visitation (1528-9). It depicts the intense moment of encounter between the Virgin Mary, and her cousin Elizabeth, who reveal to each other that both are pregnant. Mary is pregnant with Jesus and Elizabeth with John the Baptist. According to Catholic tradition, this visit, recorded in the Gospel of Luke, was believed to bring divine grace to both Elizabeth and her unborn child, who recognized the presence of Jesus. I challenge anyone who sees this painting in person to not be inspired and wowed by the stunning range of colors seen in the garments of the 4 women represented. Spirit Catcher: The Art of Betye Saar(1977) is a film directed by Suzanne Bauman that profiles the life and work of Saar. The film now showing at Roberts Projects is running parallel to the artist’s inclusion to the current exhibit at the Broad Museum, Soul of a Nation: Art in the Age of Black Power. Thru 4/27/19. Jill Moser: Borrowed Light is the current exhibit at Edward Cella Gallery. This is a series of abstract paintings on paper. Moser’s gestures are imbued with meaning and protest. “The gestural line in her works is both expression and description, the beginning of a dialogue not just between figure and ground, but one in which the ground has a dimensional space that rivals that of the overlaid graphic figure.” Her use of color is quite striking adding a further punch to her gestures. Thru 5/4/19. 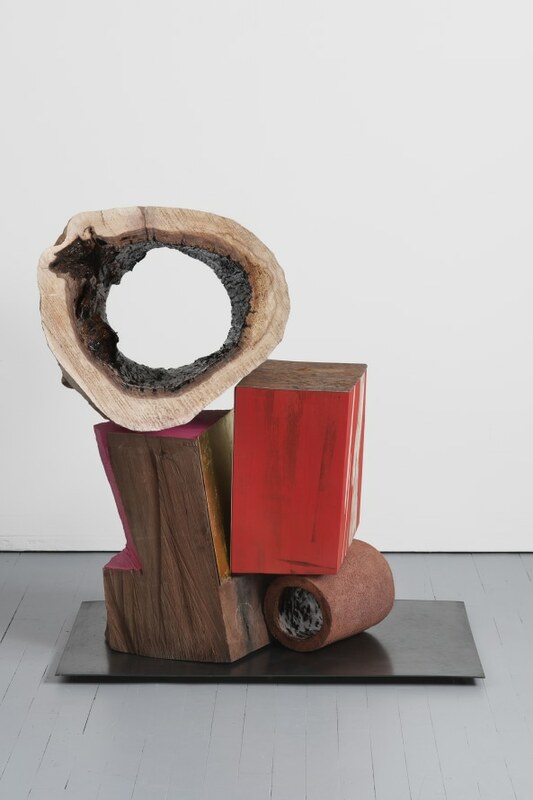 Arlene Shechet: Sculpture is the first exhibition at the new gallery space at Suzanne Vielmetter Projects in the Arts District. 4/6-6/8. This artist works in a variety of media including ceramics, porcelain, wood, concrete, bronze, and other materials teases out longstanding tensions in sculpture between object and base, interior and exterior, figure and space. 4/06/08/19. Fabrik Projects presents a solo exhibition by Los Angeles based expressionist painter, Amadea Bailey: Expressions. This exhibit features more than twenty highly expressionistic canvases of various sizes. 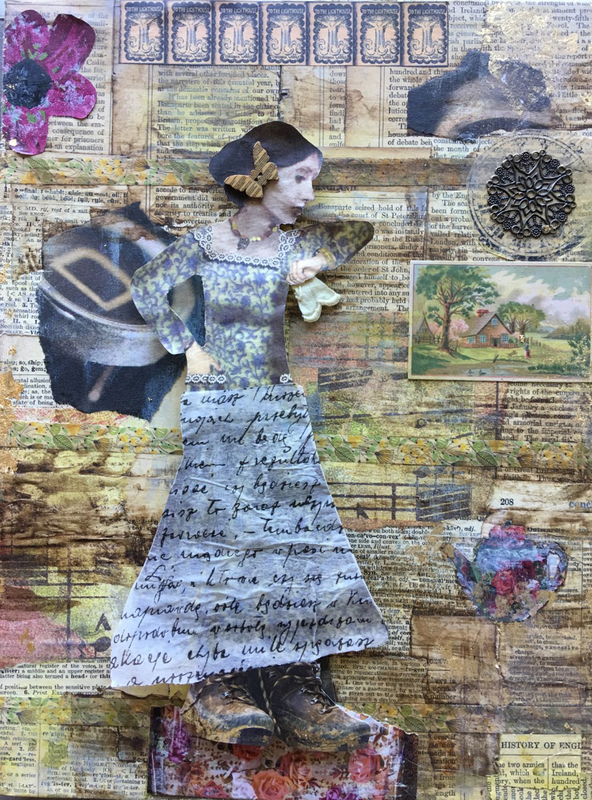 The artist uses vignettes of modern life collaged together with fragments and mementos from her life and travels. They are thickly layered with paint and graffiti providing the viewer with complex compositions to ponder. 4/06-5/04/19. ROSEGALLERY is delighted to present Hay Tiempo, an exhibition of photographs by Graciela Iturbide. Iturbide is one of Mexico’s most celebrated photographers. Although Iturbide has photographed all over the world, she is widely known for the photographs she has taken in her native Mexico. In this show, photographs taken in the late 1970s of the Seri tribe are featured. Iturbide focused her lens carefully on these overlooked and marginalized indigenous peoples. She was invited in 1979, to photograph his native city Juchitan in the southern state of Oaxaca, where she encountered the strength and independence of the Zapotec women. “Iturbide’s photographs of Mexico show not only the diverse and rich cultural history of her nation, but also the resonance of Iturbide’s own artistic community, which invited and encouraged the photographer to explore her own nation in its multiplicities of experience.” Thru 4/20/19. 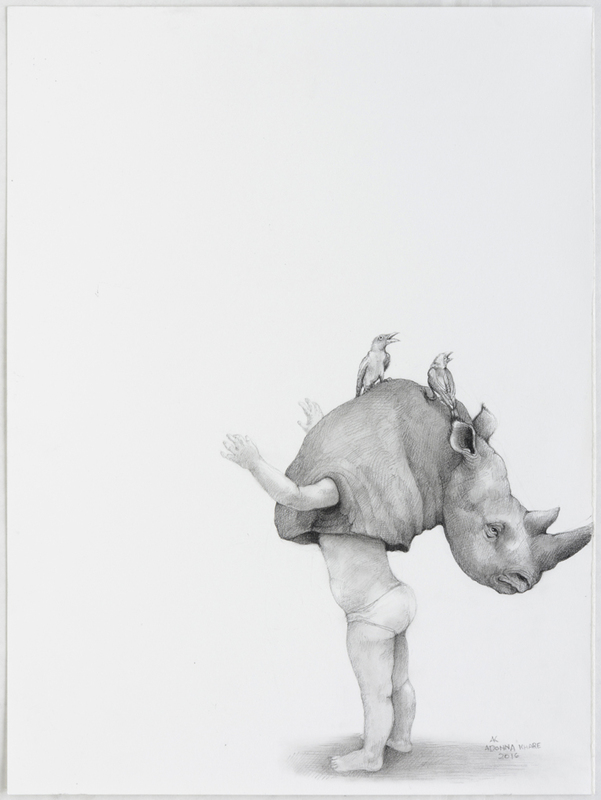 Lora Schlesinger Gallery presents rEVOLVEd, Adonna Khare. Khare’s style has been compared to the photo-realistic illustrations of Audubon, but the surreal worlds and strange inhabitants she creates spring from her imagination. Khare’s highly detailed images are created through the medium of pencil on paper. She says of her process, “I draw how one might sculpt.” 4/20-6/01/19. 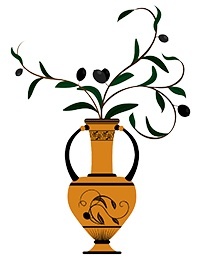 Reception: 4/27, 4-6 p.m. Dirty Protest at the Hammer Museum is a group exhibition culled from their permanent collection of contemporary art. There is a varied assortment of works of art, which I did not find particularly cohesive. Among the women artists whose work is included are: Eleanor Antin, Dana Schutz, Analia Saban, Trisha Donnelly, Tala Madani, and Christina Forrer. The title of the exhibit is from a painting with the same title by Tala Madani and it had me thinking that these works were all protesting something in one way or another-this is not the case at all. What they have in common is that these artworks have never been on view before and they highlight recent acquisitions by the museum of some of the top artists working today such as Mark Bradford and Njideka Akunyili Crosby, and Nathaniel Mary Quinn. Thru 5/19/19. I have been told not to miss Soul of a Nation: Art in the Age of Black Power 1963-82 currently on view at the Broad Museum. shines a bright light on the vital contribution of Black artists made over two revolutionary decades in American history, beginning in 1963 at the height of the civil rights movement. The exhibition examines the influences, from the civil rights and Black Power movements to Minimalism and developments in abstraction, on artists such as Elizabeth Catlett, Faith Ringgold, Betye Saar, Alma Thomas and more. Thru 9/01/19. The Long Beach Museum of Art presents Conveyance: Marie Thibeault. The exhibit features lyrical large-scale paintings by an artist who lives in nearby San Pedro and who is continually responding to the changing landscape and environment of her surroundings. “The atmospheric color shifts combined with architectural patterns, avian and geometric forms present a visual language powered by the artist’s instinctive state of mind and creative autonomy.” Thru 4/21/19. As always, thank you for all you do, Karen.